John E. “Jack” Pinkham left us on Thursday, June 14, 2018 at the age of 87. Lifelong resident of Malden.Beloved husband of Stella (Dantes) Pinkham. He was the father of Debra Ann & Eugene “Gene” Pinkham of Malden. Grandfather of Evelyn Rose of Revere & great grandfather of Marcello Romero. Jack was a United States Army Veteran during the Korean war. He was a charter member of the Knights of Columbus Council #13966 and a member of American Legion Post #69. 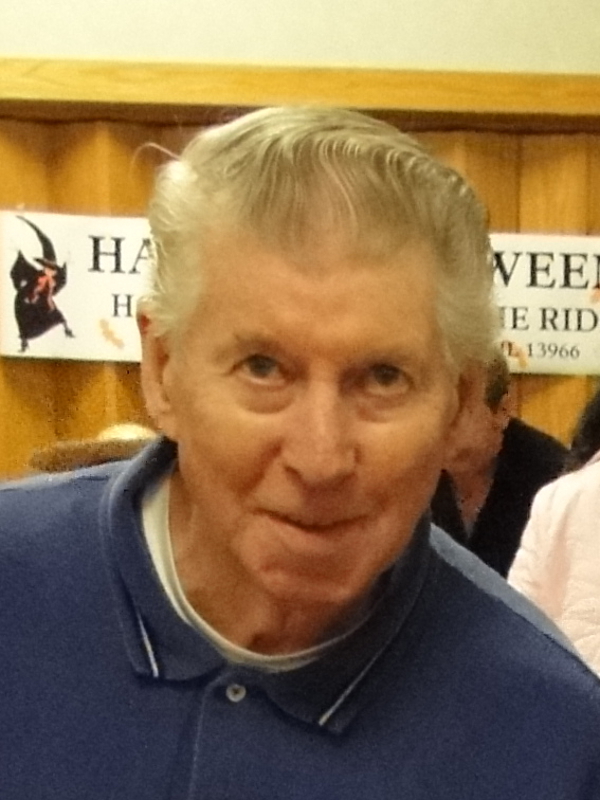 Jack was a graduate of Malden High School Class of 1949. He was a retiree of John Hancock, and worked as a printer his entire career. In his retirement years he worked for LAZ Parking. As a boy Jack was a member of the Sacred Hearts Drum and Bugle Corp of Malden. During the 1960’s and 1970’s, he was a drummer for the “Clan Sutherland” Bagpipe Band of Dorchester. Jack was a 55 year season ticket holder of the Boston College Football Team and an avid Boston sports fan. He was also a great history expert, especially on American and British history. He will be sorely missed by his devoted family and great friends, of which there are many.